I’d like to invite you to consider a narrative way to think about the positions we take on issues where there are marginalized, oppressed, or powerless people involved. This narrative arises from a compassionate God of justice who invites us to remember…and to participate. We begin with a Hebrew root word — tsaaq. This describes a cry or a shriek when an individual or a group of people are calling out desperately for help. I will use the transliterated z’ekah here to describe this word as the act of crying out. I invite you to follow this trajectory with me in God’s unfolding narrative. After the fall of humanity… when sin has tainted God’s perfect creation, we see how quickly and how far humanity has fallen. What began as an intimate partnership, in which Adam and Eve are invited to co-care for God’s creation, devolves into a tragic question that still plagues humanity today. It is a question on the lips of Cain who has just committed a tragic deed of injustice in murdering his brother. And here we come to our Hebrew word – z’ekah. The blood of Abel z’ekah’d to God. It’s a strange description but the powerless blood of dead Abel cried out for justice in the face of a horrific oppression. Perhaps more disturbing is Cain’s response – a tragic question posed to the Creator – Am I my brother’s keeper? Injustice. Apathy. Failure to take responsibility. Tragedy. One group of people decides to take advantage of another group of people who are “strangers” in their land to accomplish their own desires. And before they know it , the community of Israelites find themselves on the “wrong” side of “The Egyptian Dream.” They are powerless. Strangers. Aliens. Israel is forced into slave labor where their only value is measured in bricks…and more bricks…and more bricks. And what do they do after 4 centuries? They z’ekah. And God heard their cry. And He acted upon their cry. God was on the side of the powerless and oppressed. To be on the wrong side of power was disastrous times ten for Egypt. Israel is blessed. But not because Israel is elite or better than. Israel is blessed so it can be a blessing to the world – a light to the Gentiles. To do that God says remember. Remember where you came from. You once cried out. You were rescued. 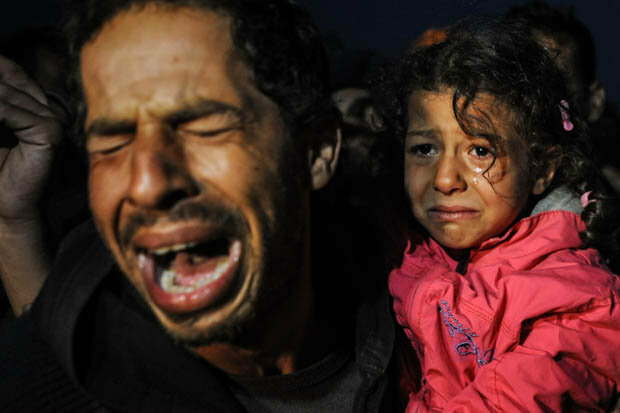 And now you are to answer the cries, the z’ekah of the oppressed, the poor, the marginalized, the powerless. You once z’ekah’d. I answered your z’ekah. You are now called to participate with me in answering the z’ekah of others. If you take advantage of them, they will z’ekah to me. This will be disastrous for you. Because you will have forgotten what it means to participate in my story. You will have forgotten what it means to know me. Jesus sat at table with the poor, the marginalized, the outcast, the oppressed, the powerless. He practiced a compassion, inclusion, embrace, and grace to all who z’ekah’d, in a way the world had never seen. He defied religious etiquette and social boundaries to show the extent of God’s love and compassion. He built larger tables, greater expectations, and broader grace. And the “religious” rejected him. Before crying out from a cross of execution, Jesus z’ekah’d what it meant to know him and to participate with him in his story. I was an alien. I cried out. You heard my z’ekah. You participated in my story. You sided with the oppressed. You identified with the marginalized…no matter the cost. You were your brother’s and sister’s keeper…no matter the risk. You practiced compassion. You practiced justice. This is what it meant and what it means to know me. Let’s do this. Let’s co-care for creation. Together.